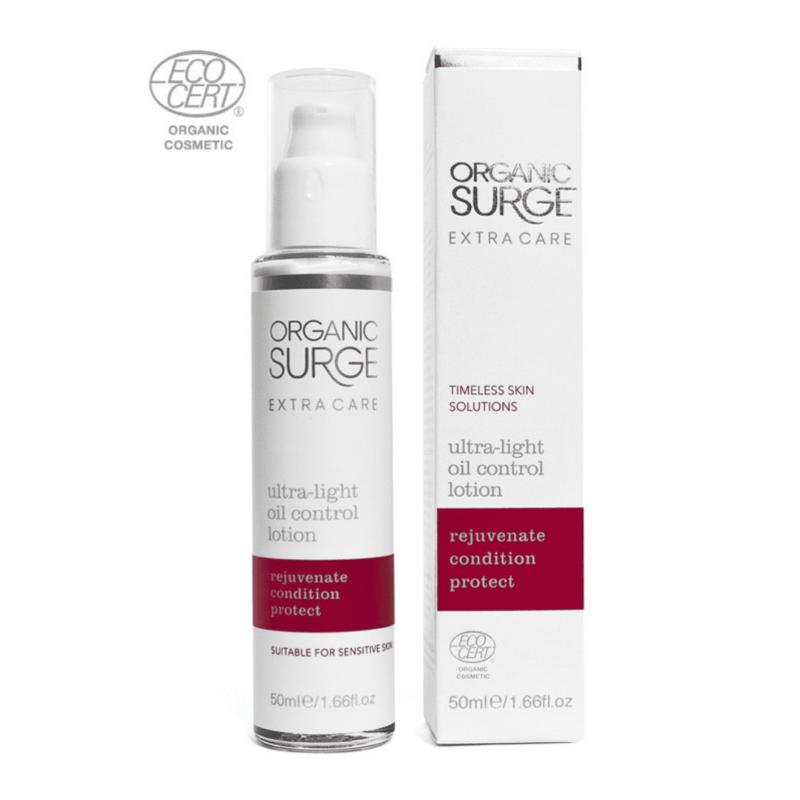 Organic Surge’s premium Extra Care range for Timeless Skin Solutions. This natural facial Oil Control Lotion is feather-light in order to protect skin from environmental influences, allowing it to develop and maintain a balanced level of naturally produced protective oils. Packed with skin loving nutrients, this super effective, yet lightweight natural lotion will replenish and soothe your skin by infusing it with an organic blend of argan leaf, damask rose, geranium, safflower and sweet orange oils. The high-end formula feels velvety soft and leaves skin with a healthy radiance whilst supporting your skin’s natural age-defying defenses. Use it this way: Apply after cleansing by massaging into your face and neck with gentle upward strokes. To further balance complexion, use alongside Intensive Smoothing Serum.